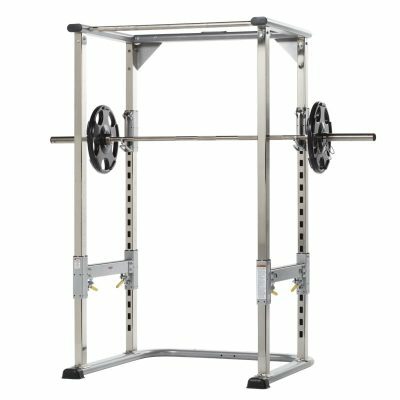 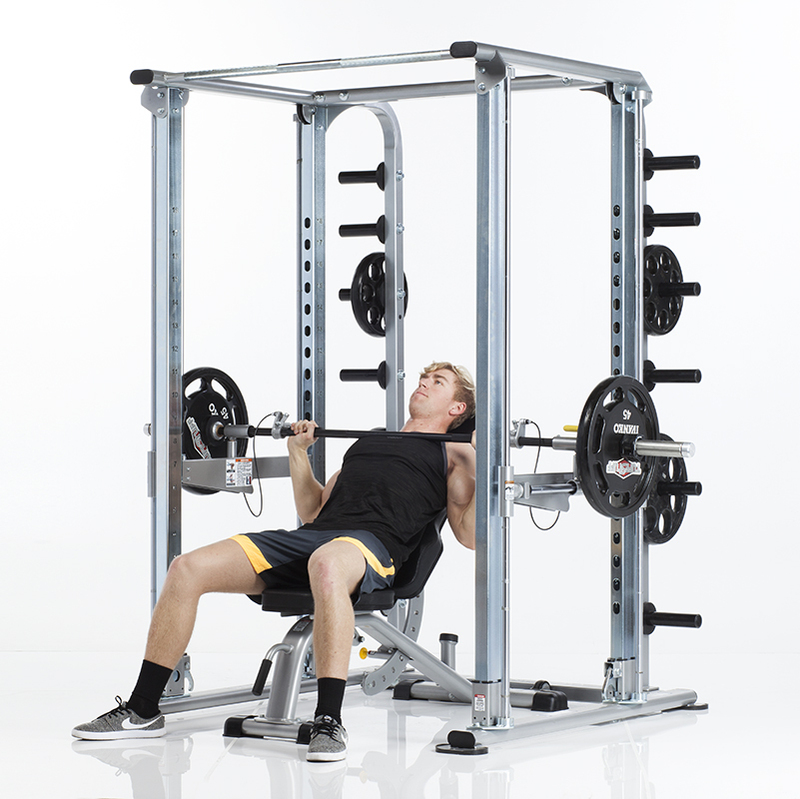 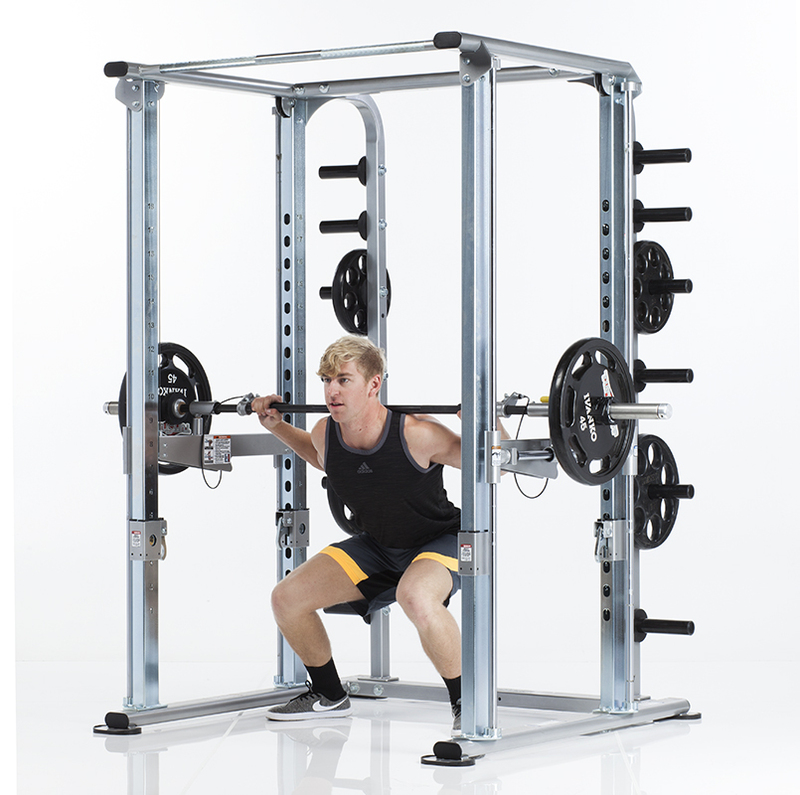 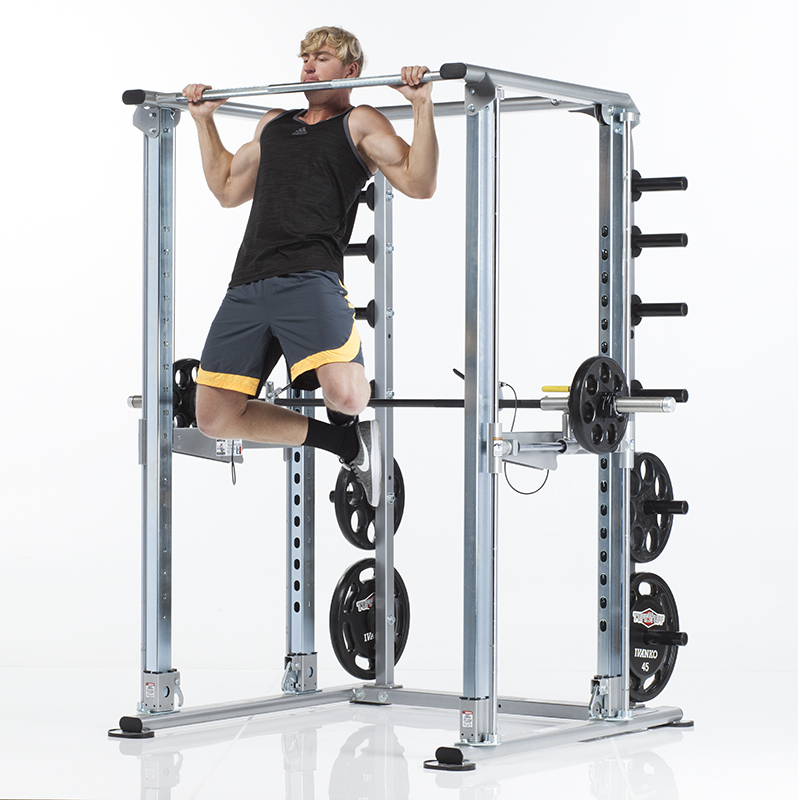 TuffStuff's XPT-900 Sport Self Spotting Power Cage is the fitness industry’s first and only “self-spotting, free-weight training system” allowing vertical, horizontal, diagonal, lateral and rotational bar movement. 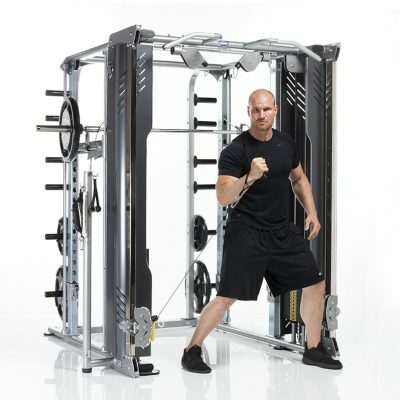 The XPT-900 Sport Self Spotting Power Cage was designed and developed in collaboration by Brady Poppinga (NFL Veteran & 2010 Super Bowl Champion). 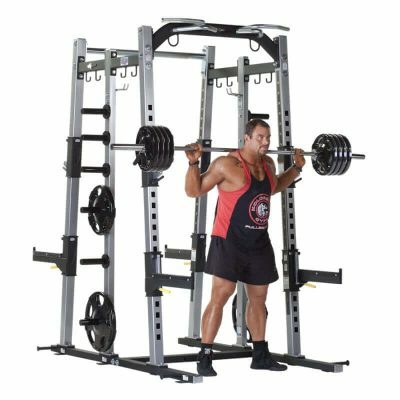 With unlimited barbell motion, the XPT-900 eliminates the need to purchase expensive bumper plates for explosive training. 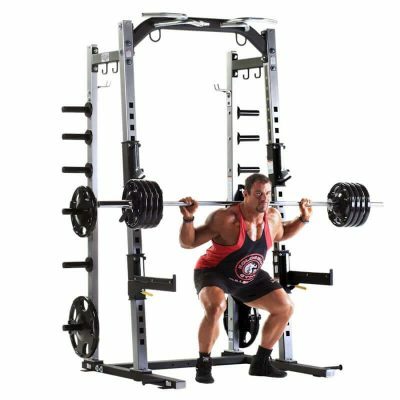 Safely perform conventional lifts, Olympic lifts, traditional and functional movements, and explosive/competitive movements. 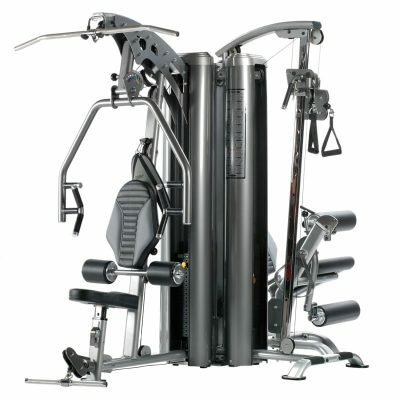 Optional attachment: Dual Adjustable Pulley System (DAP-955) with two 150 lbs. 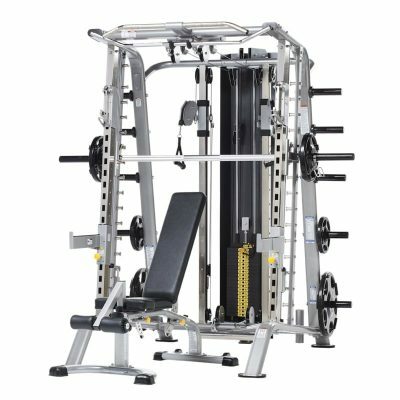 weight stacks (MSRP: $3198.00).